When we moved into our new home last year, we knew redecorating it would take some time. We’ve been slowly working away room by room and I’ve wanted to incorporate more personal touches. 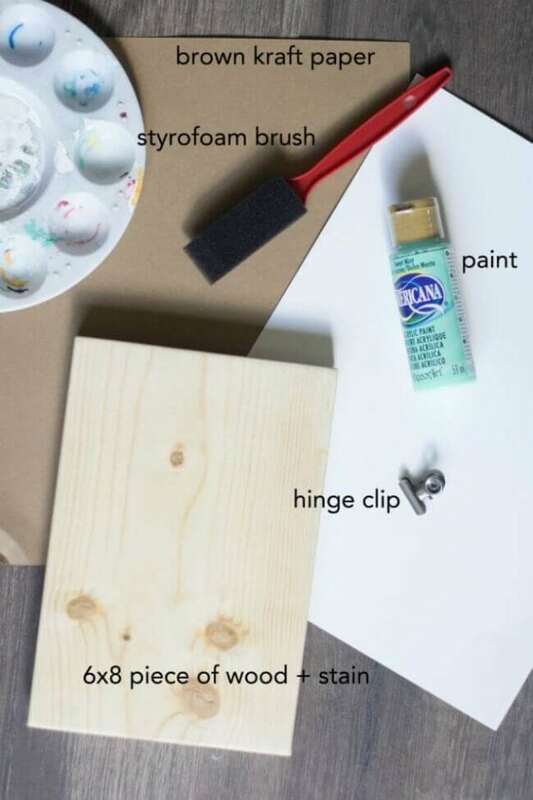 This DIY clip frame turned out gorgeous! It works perfectly in just about any decor style but it’s reflective of the industrial farmhouse look I am loving right now. 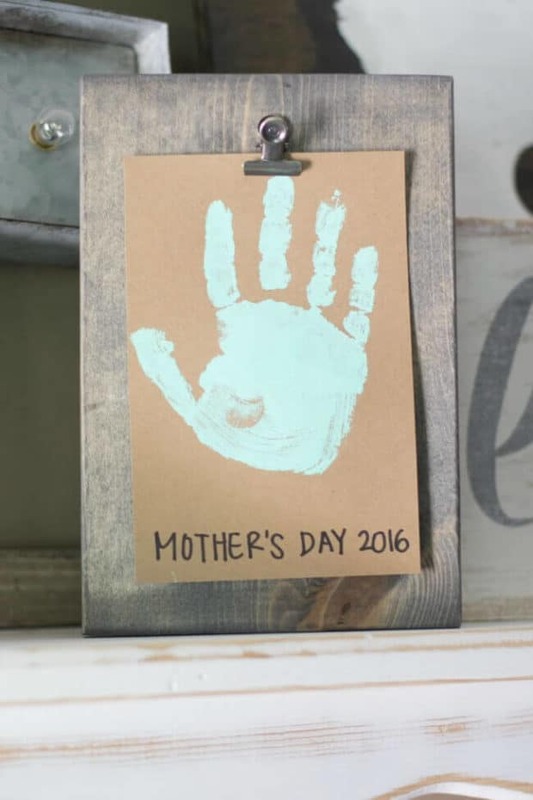 (Check out more ideas with these 20 Handprint and Footprint Crafts for Mother’s Day). I want our place to represent the love and memories we share as a family. My three boys are my everything. I look at them and am amazed at how quickly they are growing up. I want to freeze time and keep them this age forever! Handprint art is my way of doing that. Just looking at their little handprints captures a moment in time that allows me to reflect on how far we’ve come as a family and how far I’ve come in my journey of being a mom. When I had my first son, I hadn’t been around that many babies. Oh, I had a little brother, but I wasn’t thinking about what it took to raise a baby then. I never baby-sat an infant when I was a teenager. I don’t think I’d ever even changed a diaper before Jorryn! He had my heart full of love, but he certainly didn’t have a mom with much experience. By the time my second son, Zane, was born, I was a much more relaxed and confident mom. Our family had settled into a comfortable rhythm when I realized I was pregnant for number three. That threw me into a funk. For some reason, going from two to three seemed overwhelming. 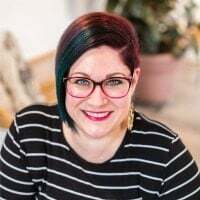 I somehow felt more distress over the arrival of Shay than I did with my first two and it wasn’t just because I was sick much of my third pregnancy. How would I take care of THREE boys? By the time Shay’s due date rolled around, I had made peace with the shift in our family. When Shay finally made his grand entrance, he had some health issues and had to be whisked into NICU. My concern and consternation ramped up all over again. Long days and nights at the hospital and no new baby at home took a toll. When I look back at those rocky mom-again moments, I remember the frustrations and concerns but I no longer feel them. Today we’re making beautiful memories at our house. 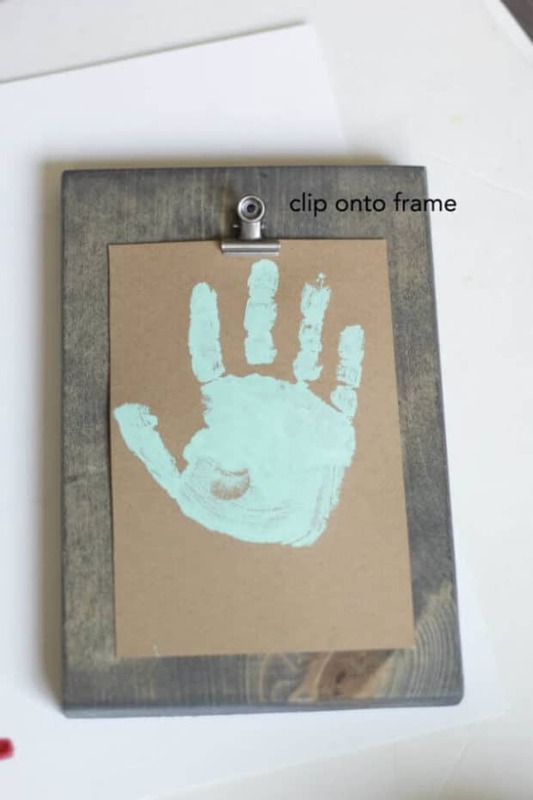 We make crafts (like this cute handprint idea). We cook together. We play. Almost every day one of the boys does or says something that sends Domingo and me into fits of laughter. They bring us such authentic joy and we can’t imagine life without them. Materials needed; You probably have most of the materials on this list. If you need wood for the base, most craft stores carry raw wood pieces or a home improvement store will usually cut a piece. 1. Sand any rough edges on the wood. Stain wood; let it thoroughly dry. 2. 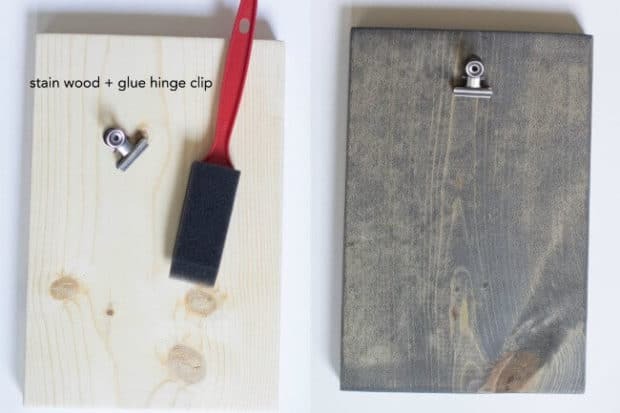 Glue hinge clip onto wood, top and center. 3. 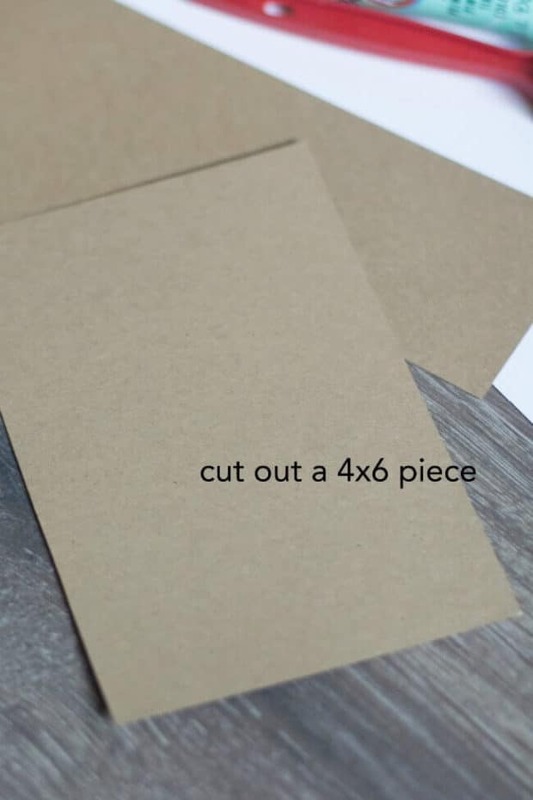 Cut a piece of brown kraft paper slightly smaller than the wood “frame” (tip: have a second piece of paper ready in case you don’t get a clear print the first time). 4. 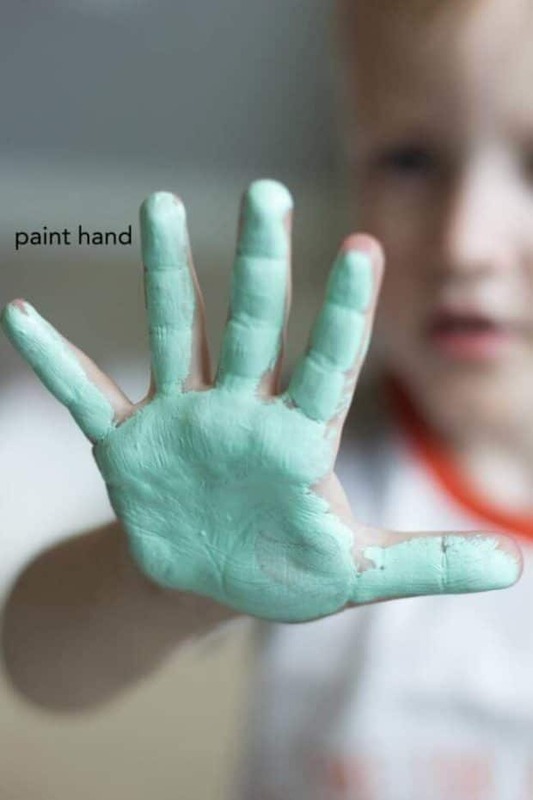 Squirt a little paint on the palm of your child’s hand; use Styrofoam brush to totally cover their hand. 5. 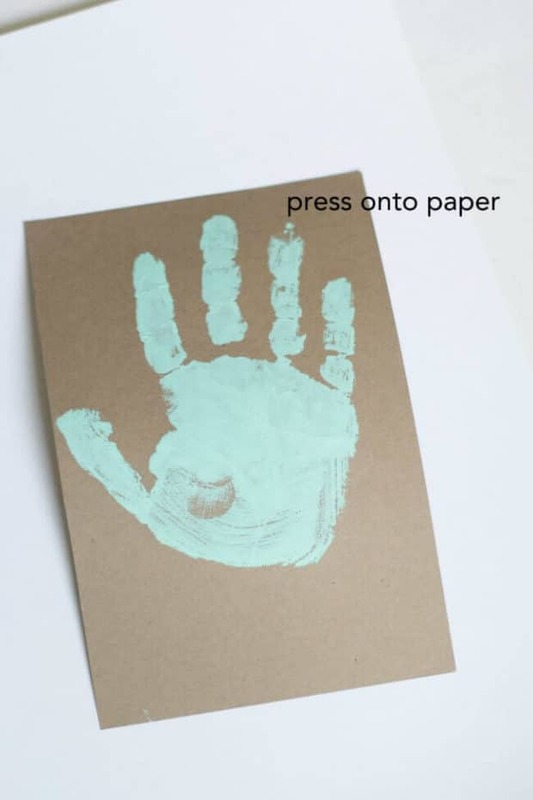 Press their hand onto paper. 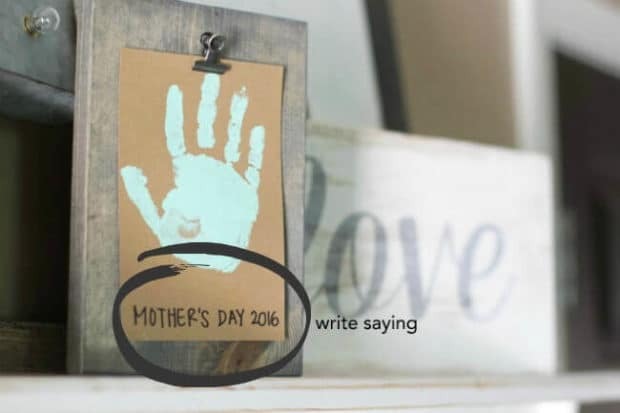 Let paper thoroughly dry (tip: wash that hand immediately unless you want something else “decorated”!). 6. 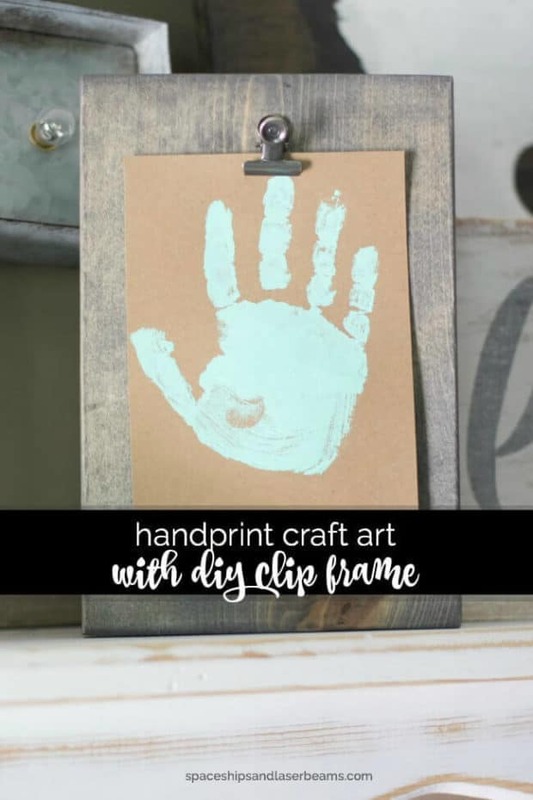 Clip kraft paper onto frame. Was/is your baby a Gerber Baby? All three of mine were. I so appreciated the Gerber Baby Foods. From the 1st Food Stages through 2nd and 3rd Foods, Gerber offers choices a mom can feel good about and babies enjoy. Gerber is with you every step of the way. 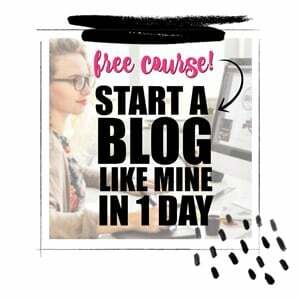 As a mom of three little guys who have been busy from day one, I can tell you it’s good to have easy answers to at least one of the parenting choices! The joy of being Mom to three glorious little men has erased the earlier trepidation and fear. My love is multiplied, even when my time (and energy!) is divided.